Very nice molding detail there, Cole. For me a slight setback. 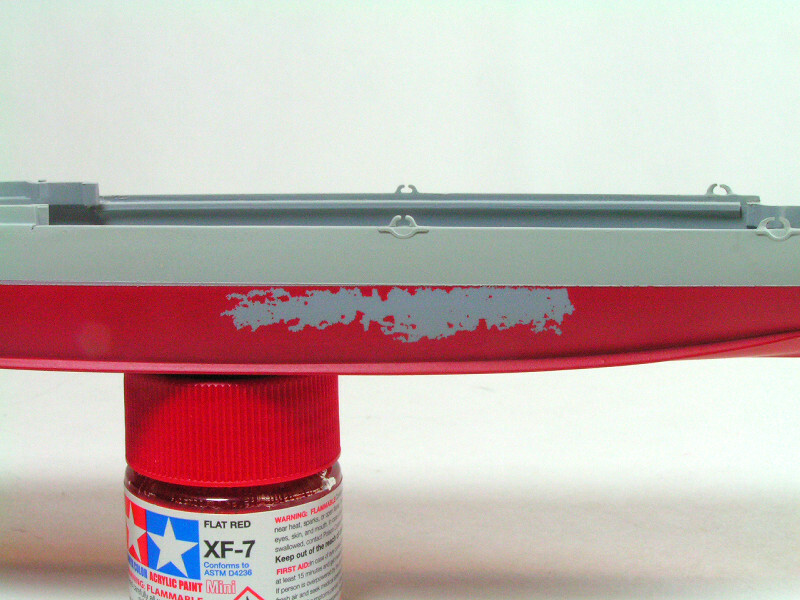 After painting the gray above the waterline, the masking found some paint that it just couldn't let go of. Just have to feather it out, reprime, and spot it in. Major hurdle ends up a success. I was worried I'd screw up the Atrwox wooden deck, but it went very well. I'd recommend that product highly to anyone considering it - it makes a great difference. It fits perfectly over the raised hatches on the deck. The superstructures fit tightly and perfectly into the cutout provided. 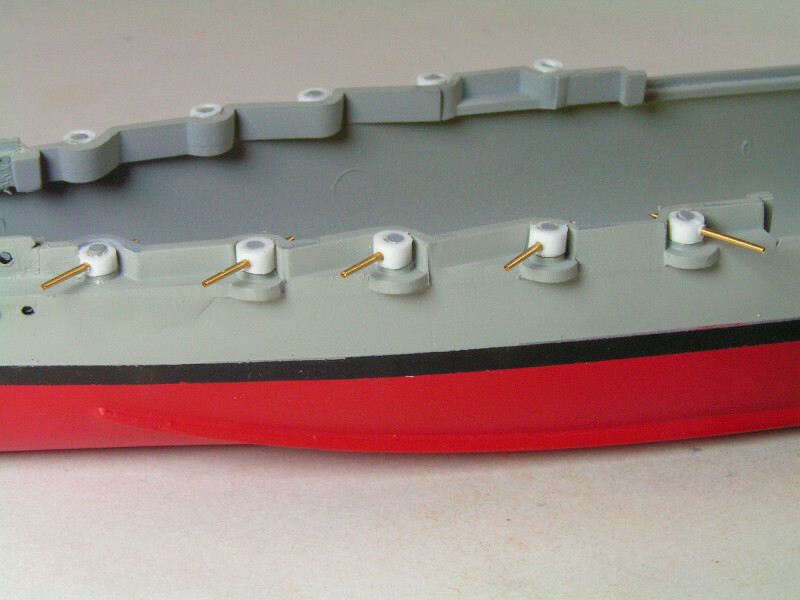 I'll have to lay some thin plastic card down where the anchor chain drags over the deck. We'll see how it looks at the edges when it's laid into the hull section. I mic'd the Artwox and it's only .009" thick - hopefully just as thick as the molded lines I sanded away. It IS incredible. I only wonder if there are special techniques to weather it (rust, spills salt damage, etc.) that are compatible with the material. Your fitting around the many objects is flawless. 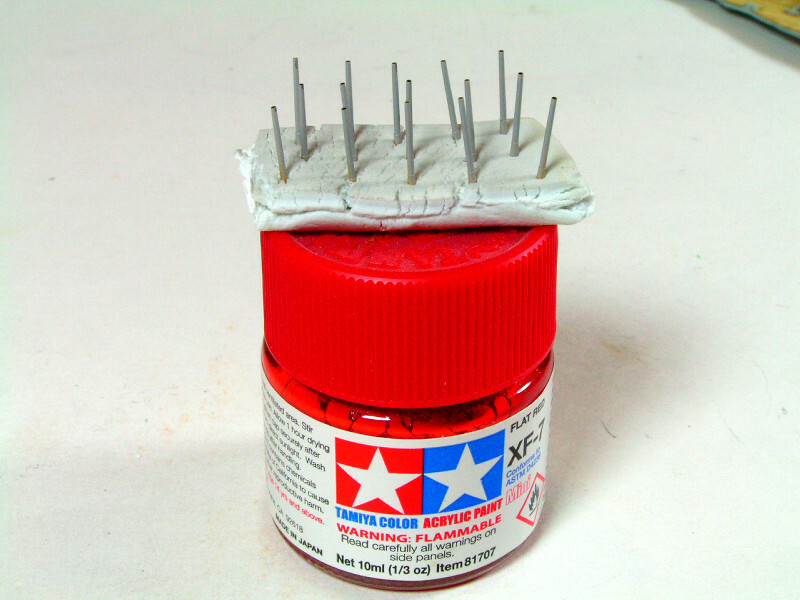 Although they say it is coated over the coloring, it seems porous an easily absorbs stuff like MEK. I can't take credit for the fitting - it laid down perfectly. Shame about the hull paint Mike..... been there done that!!! The wooden deck looks amazing. 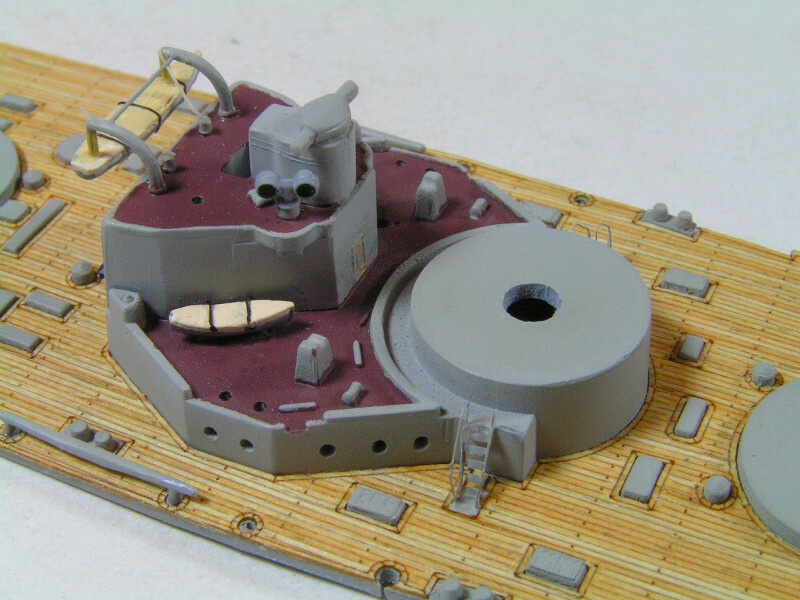 Do you know if they do one for the Academy 1/359 HMS Warspite? Do you have a link to their website please Mike. The hull's been touched up - I plan to keep masking away from it, now. 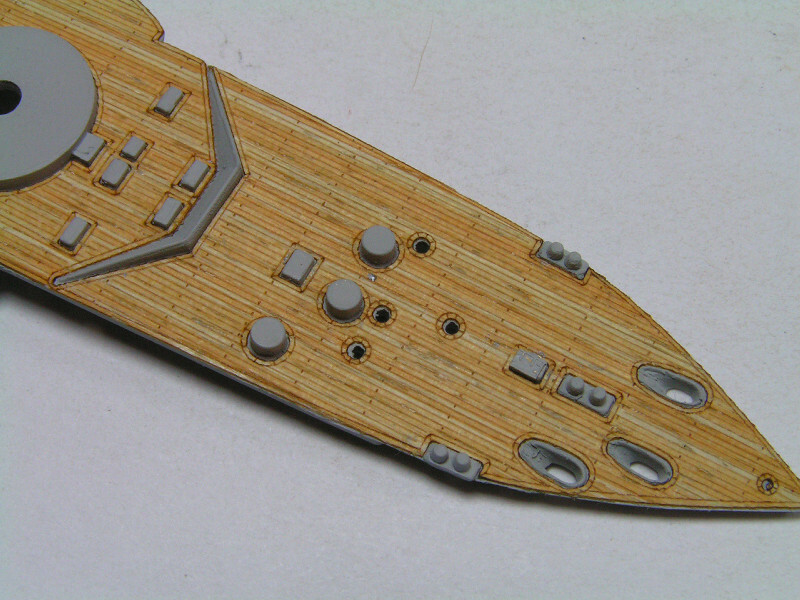 I see they have the Warspite in 1/350, 1/700 and 1/600, but not 1/359. Looking good Mike. What a difference a wooden deck makes. The hull and sail are now joined. Time to clean up the seams and then get her painted. Thanks for the link Mike. The English dealer doesn't do them so I now have one on order from Italy!! 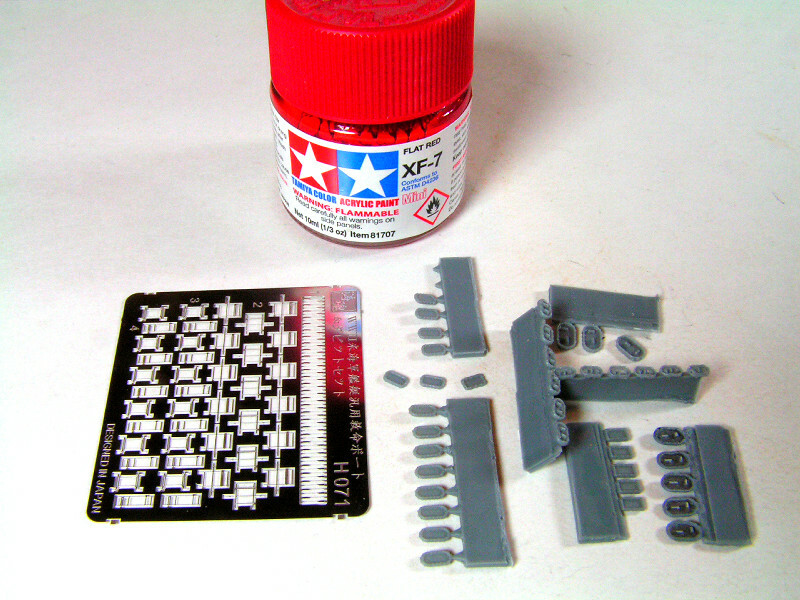 Thanks for the HU should make a big difference to the finished model. Looking good Cole, got a sense of scale shot please? 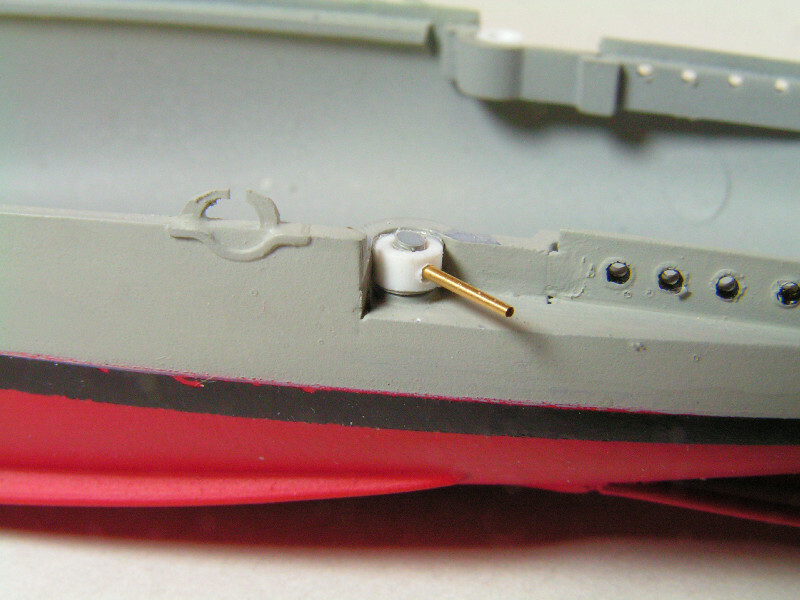 Got some cheap Chinese gun barrels to replace the 6 inch guns. $5 for 16 gun barrels with free shipping. This allows me to grind off the pin receptacles on the bottom of the deck which are slightly off register and must be muscled in. 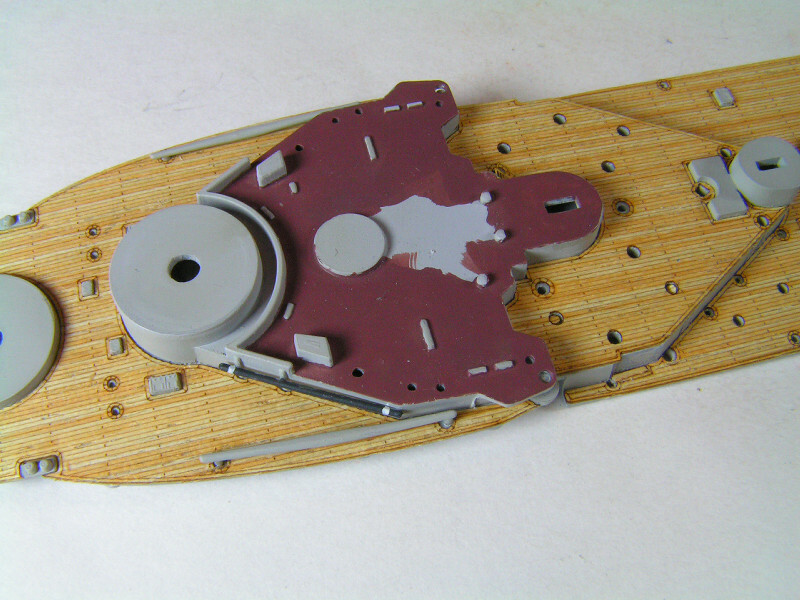 Besides, the kit guns had a lot of seam sanding to do. 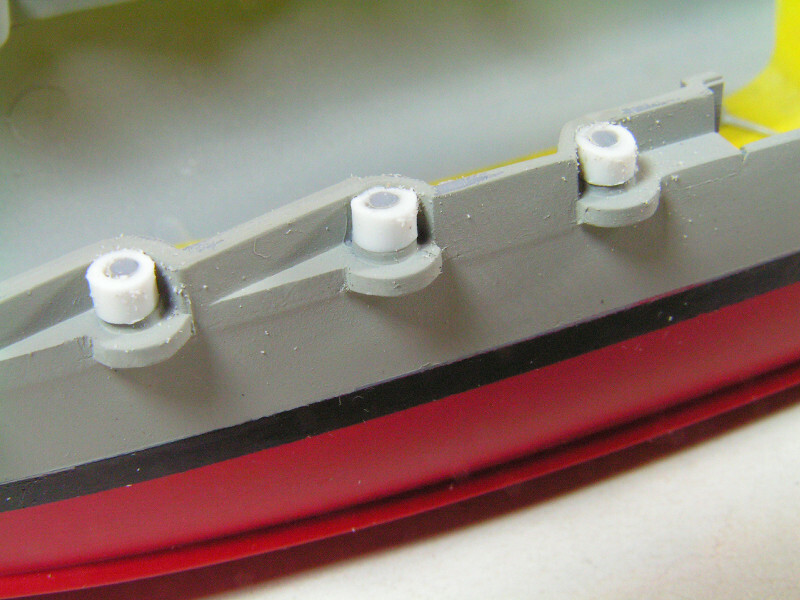 The little pieces of tubing fit perfectly over the pins and I'll drill them through for the barrels. 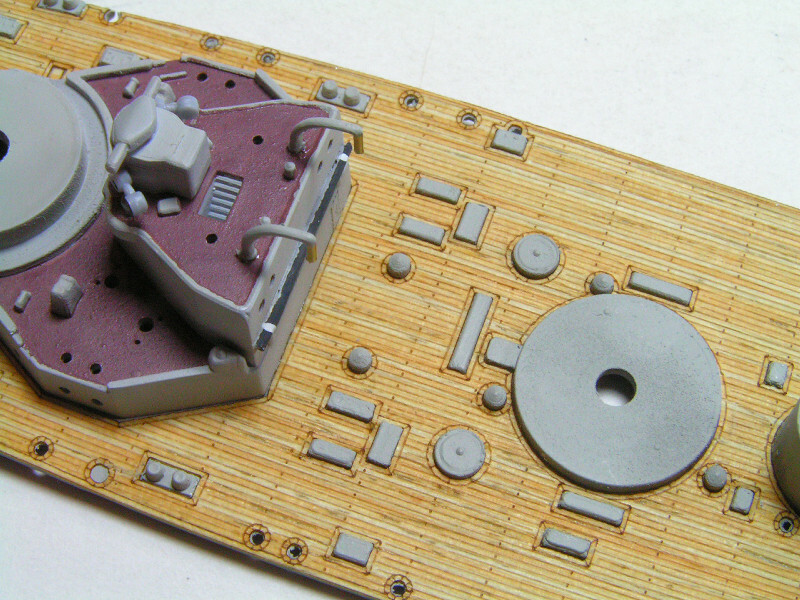 They've got a lot really cheap stuff on ebay from China for shipbuilding. 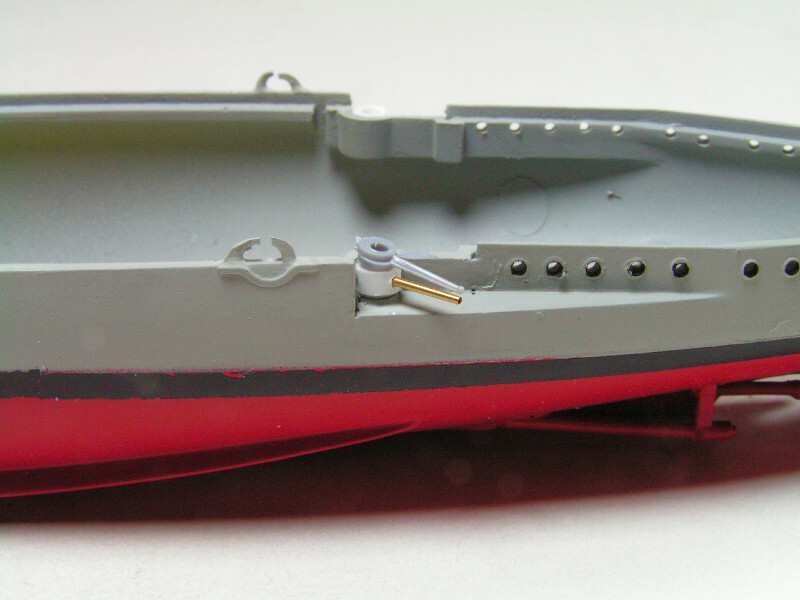 I also ordered some 1/700 Carley boats. I'll have to scratchbuild the larger liferafts. 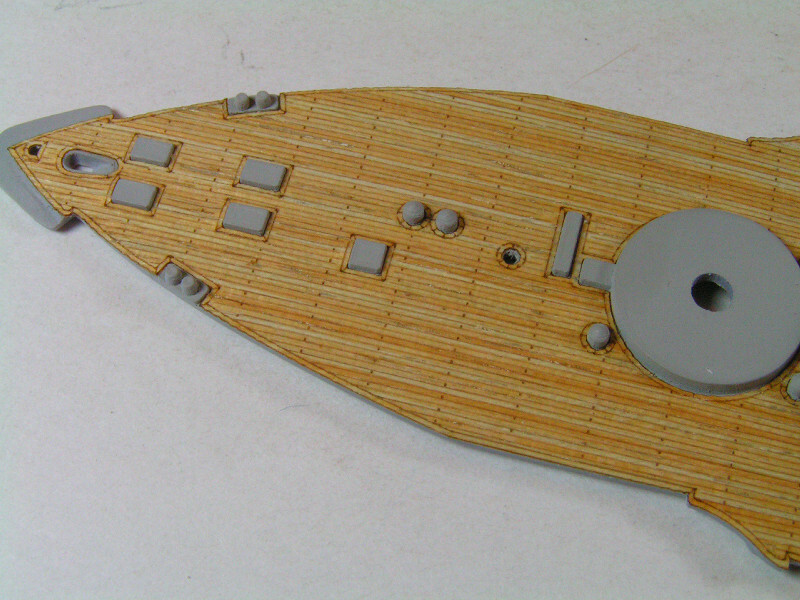 The kit version of this ship doesn't seem to represent any one time period in history. Looks like the gun barrel mod turned out successful. 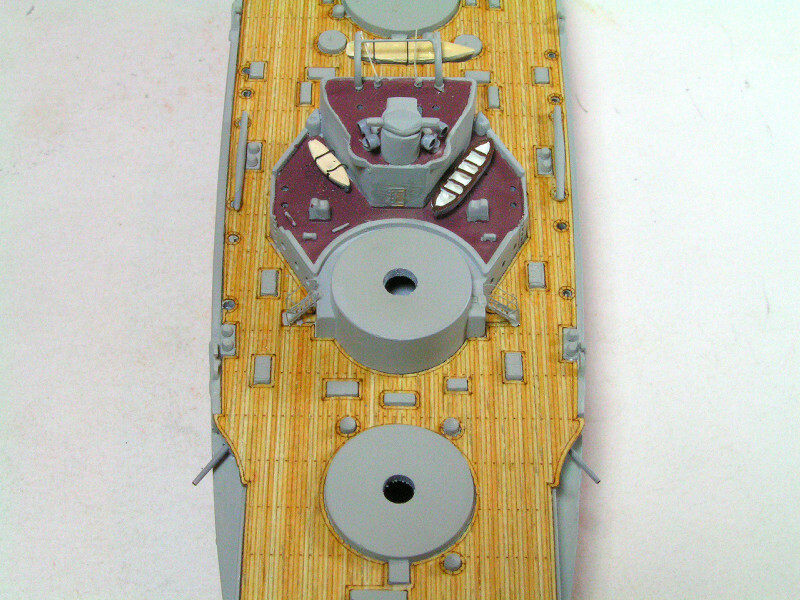 Now it needs some sheet metal work to hide the turrets. 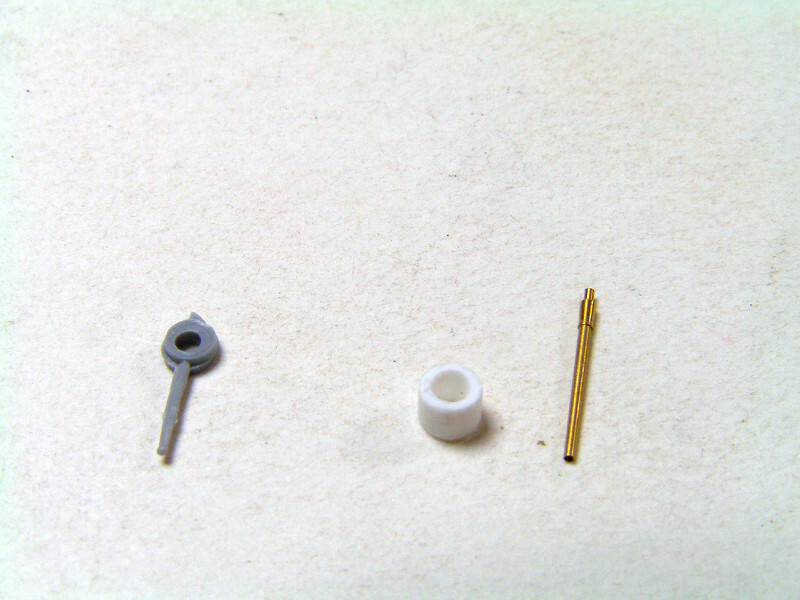 This is a comparison to the kit barrel, which has an inaccurate flare at the end. Close-up photography in this scale can be very disheartening. What looks OK to the eye upon photo inspection can look totally ridiculous. There were no davits provided for this lifeboat, so I put it in. What should look like rope/ropes suspending the boat, appear as huge iron pipework. The gun barrels look good Mike. Macro photography hides nothing. Any chance of a sense of scale shot please Mike. Here's your scale shots, Al. 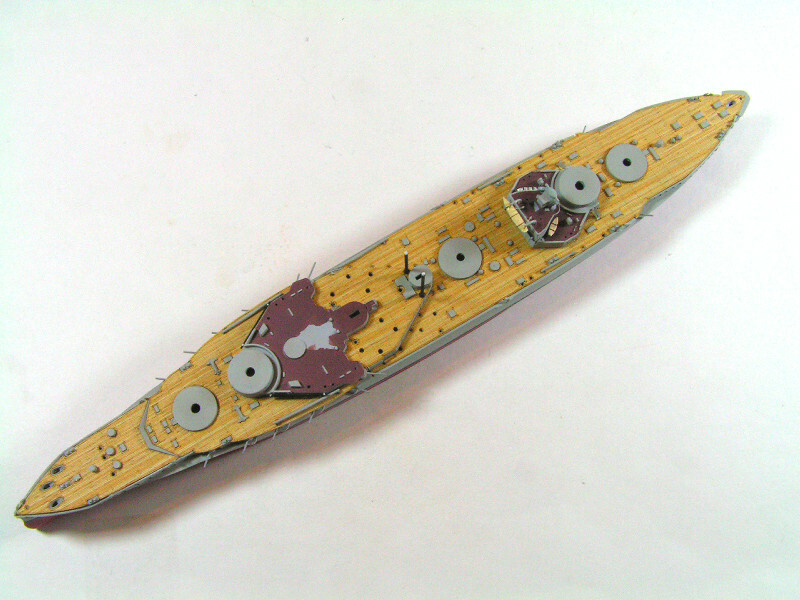 Scale standard sitting by the aft superstructure. And the Carley Floats arrived from China. I put some paint on a few to visualize. Wow. The life rafts are impressive Mike. Keep up the good work. Man those rafts are TINY.... and with P/e too!!!! Deck planking really looks good ! The bravery in using such tiny p.e. pieces, needing bending/shaping, is an inspiration to anyone considering trying larger scale work. 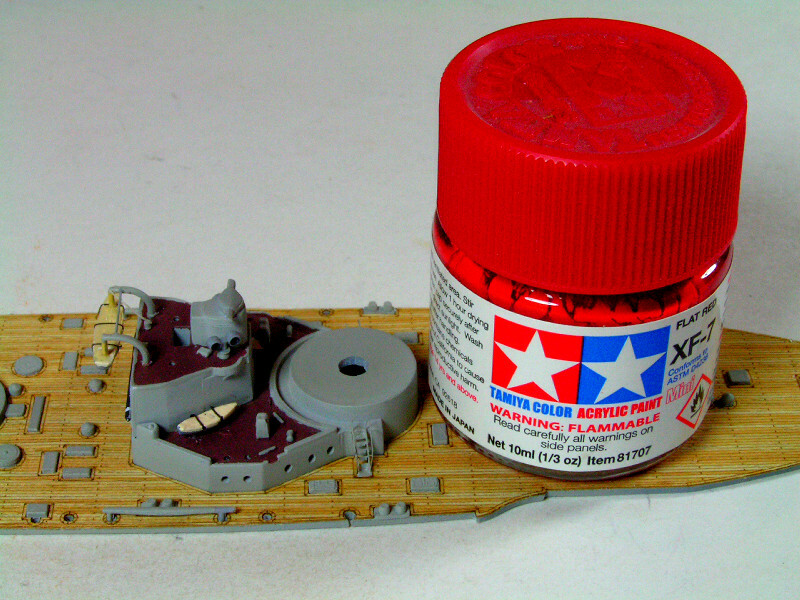 Thanx for the tutorial on how to do one very good ship model. The small sub is, likewise, an interesting subject. 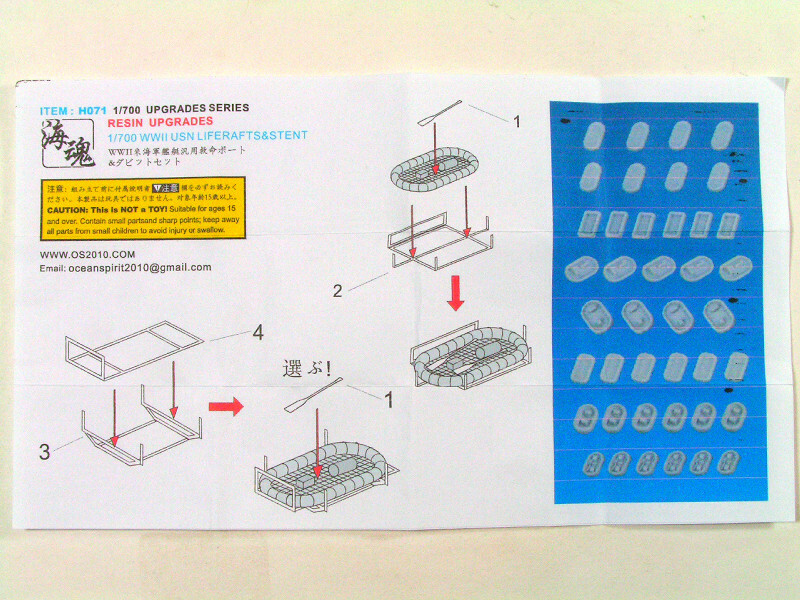 The ships group build is another success, thanx everybody! This is for you Al (to provide a sense of scale). Thanks Cole, that's smaller than I thought. Keep at it!! Thanks for the comments and keep looking. Can't tell from here Mike. Looks great. Nice detailing on the lifeboats too. Looks great Mike, would be weathered from all that salt water!